Software Modularity is the new hot topic for middle and large scale enterprises. Until now, most of these businesses have been powered by old monolithic software that’s expensive and slow to modernize, as well as hard to support. A modularization project is thought to be long and costly, so the decision to start is usually postponed until the very last minute, which poses a huge risk to companies. If your business operations depend strongly on software, it’s best to take the leap and switch to a modular system. Does everything you just read sound like gibberish? Stay with us and we’ll explain. First of all, what is a “monolith”? A monolith is a single-tier, high dependency application. The user interface is intertwined with the business logic and there’s no easy way to change anything in a monolith system without considering all dependencies. To deploy a change, you should fully “pause” the whole software application. Since this isn’t possible for businesses that need their software in real time, all the time, company owners usually postpone major updates. Besides being hard to scale, monolithic software is also hard to support. Imagine an application created 20 years ago, which has been continuously developed by different teams. Even with the greatest efforts, the documentation of this app is probably all over the place. The technologies used are most likely outdated, too. The app owners might find it hard to hire people who have the necessary tech knowledge to keep the software running. And what is software modularity? Software modularity is all about components. A modular application is divided in “blocks”, and each block carries certain functionality and business logic. Components are connected but not dependent on each other, and thus you can iterate on separate parts without directly affecting the whole system. Basically, the modular architecture addresses all problems of monoliths: modular apps are easy to upgrade and easy to support. You don’t need to go into major downtime and risk your business operations for every update. Another major advantage of the modular design is that you can scale your application easily, by just adding a new component to it. You don’t have to assess dependencies and work on the whole app, like you would do with a monolith. Your new component can even be hosted on another location (in-house or virtual), which is impossible for monolithic software – with monoliths, the whole application has to be hosted in one place. Why is it so hard to go modular? In fact, it isn’t – if you have the right approach and the right set of tools. 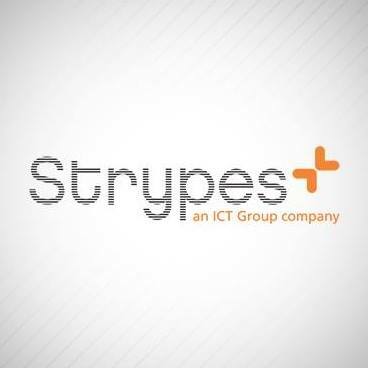 At Strypes, we started by executing this kind of projects manually. Over time, we started seeing certain patterns in the process, and decided to try and automate as much as possible. After building our own toolkit for this purpose, we can now automate as much as 80% of each project, leaving our engineers with less manual repetitive work. Our clients are also happy that we can make the process shorter for them, without sacrificing on quality.